CORPORATES PLEASE CONTACT US FOR THESE ACTIVITIES. We conduct WhatsApp activities for the corporate too. IADLife ‘Great Minds Group’ WhatsApp Activity. Start Date: September 1st, 2018. Duration: 1 Month. September workshop has been divided into two groups. Group A: topics covered are Gratitude. This group will have 28 days + 2 days of exercises and instructions of the ‘The Magic’ Practice based on the book with the same name. Group A will be guided with the Gratitude practice only. How to carry out the exercise and all the questions pertaining to the Gratitude exercise is going to be addressed. The cost is INR/Rs 1500/-. Group B: Topics covered are Gratitude and Manifestation. This group will have 28 days + 2 days of exercises and instructions of the ‘The Magic’ Practice based on the book with the same name by Rhonda Bryne. Along with that, there is an additional service provided. Counselling on life situations with solutions using gratitude. This will be integrated in the 1-month practice and the group members will be counselled whenever requested. Gratitude & Manifestation: Members of group B will be guided with the Gratitude practice and Manifestation using gratitude. How to carry out the exercise and all the questions pertaining to these topics are going to be addressed. Counselling: Members of group B will also be given an opportunity to get life-related questions, queries, confusions, ailment and hurts solved through counselling. Solutions will be suggested on WhatsApp within the group B. Counselling solutions will be gratitude based. In case the solutions are other than or more than these two topics then, a personal one on one sessions will be suggested. The cost is INR/Rs 3000/-. (1) Sharing your WhatsApp number and confirming. (2) Transferring cost through net banking, Paypal, depositing money to IADLife Bank A/C. 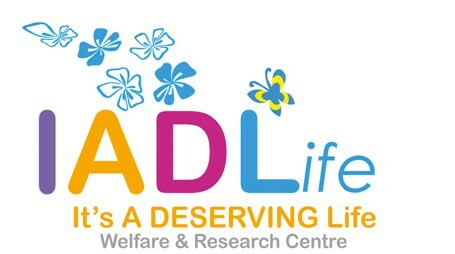 (3) Informing IADLife of the transfer. (4) Upon that, your name will be added in the IADlife GMG group. Once you have been added to the group, please place all your conversations in the group only. Please note: No personal messages will be entertained thereafter. Call us at landline +91 80- 42188074. Do share with all who think can benefit. This entry was posted in Uncategorized on August 17, 2018 by IAD Life.